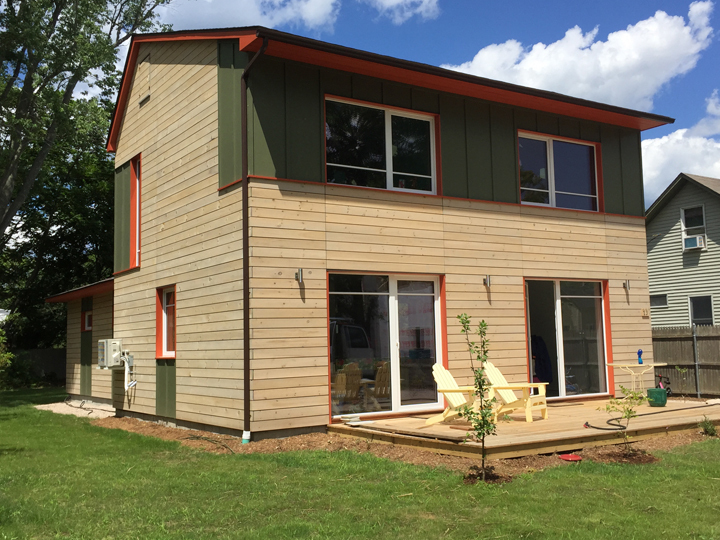 When the Hevenor family approached Steve DeMetrick of DeMetrick Housewrights about building their new home in Wakefield, Rhode Island, they already knew that they wanted a Passive House. This young family of four had purchased an infill lot close to the bike path, easily walkable to the grocery store and the local elementary school. 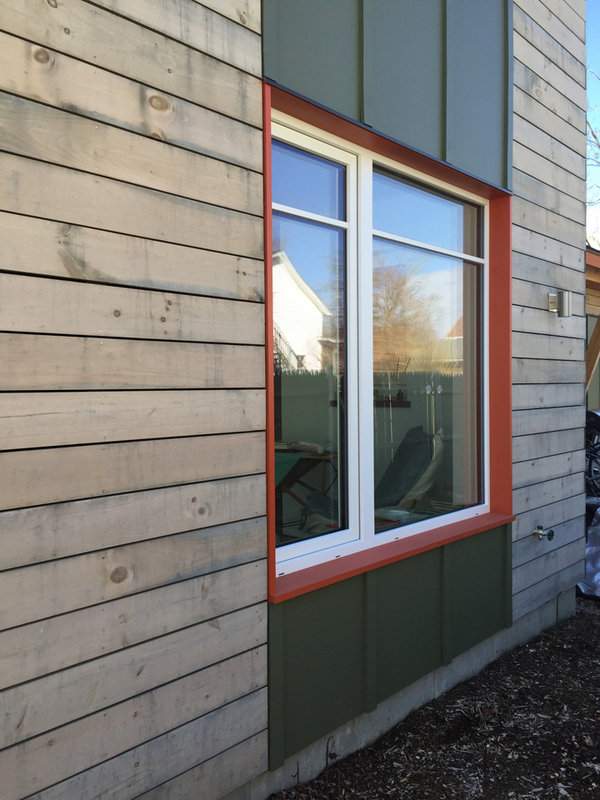 They were looking to build an affordable new home, and liked the predictability that comes with building a Passive House—in many ways eliminating many of the big decisions that come with designing and building any new home. Steve DeMetrick and architect Steve Baczek worked with the clients to design and build a simple three-bedroom, two-bath home which was builder- and supplier-friendly, using conventional and easily-available building materials. The builder-architect team worked closely with the clients from the beginning as an integrated team, and everyone on the project was committed to the goals of affordability and replicability. The building features Schuco triple-paned windows and a finished concrete floor (beneath which lies six inches of foam with an insulating R-value of 26). Double-stud walls provide room for 12 inches of thermal insulation (totaling R-55). Blown-in cellulose insulation in the roof is calculated at R-92. By keeping the building’s shape simple, the team was able to complete the project for a total construction cost of $300,420, or $163.00 a square foot. As the first PHIUS-certified Passive House in Rhode Island, this project sets the standard for helping to bring Passive House into the mainstream. Exposed concrete slab with 6" EPS. Double Stud wall. 2x6 outer, 3" gap, 2x4 inner. 4" closed cell foam Lapolla Foam Lok 2000-4g, 8" blown in fiberglass. 3 bedroom, 2.5 bath single family new construction. Infill lot in a residential neighborhood. This project was designed to meet the PHIUS+ standards, with a robust thermal envelope and simple shape for affordability and constructability. We had the unique experience of the customer hiring the builder before the architect. I, as the builder, had the unique opportunity to help the homeowner hire an architect. This approach helped solidify a team committed from the start to design and build to the tight budget we were given. 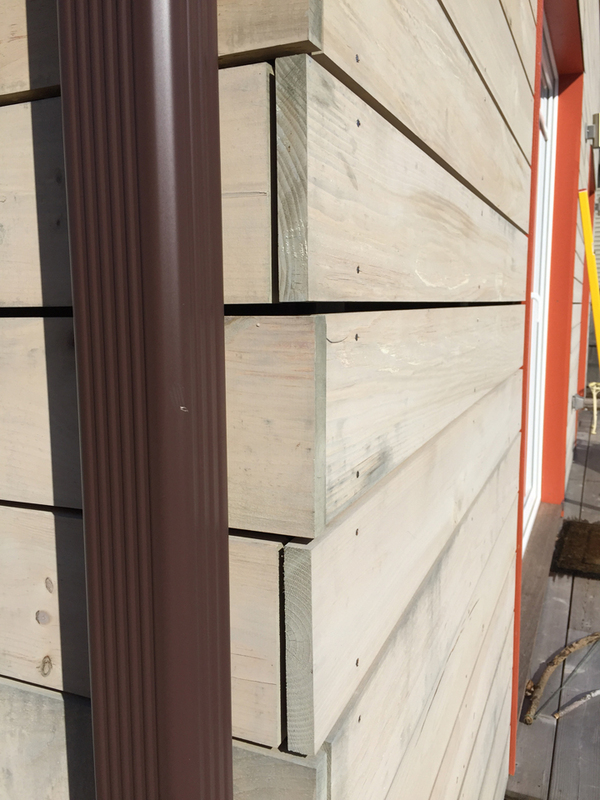 Throughout the project, we focused on using construction materials and techniques that were builder friendly with off the shelf materials from the local lumberyard. The only materials not sourced locally were the windows, some of the window tapes, and the Zehnder ERV.